I recently got myself a Christine Haynes Emery pattern and just had a play around with it. (Hint: do not let your significant other chose how low a neckline should be. It will end…interestingly!) 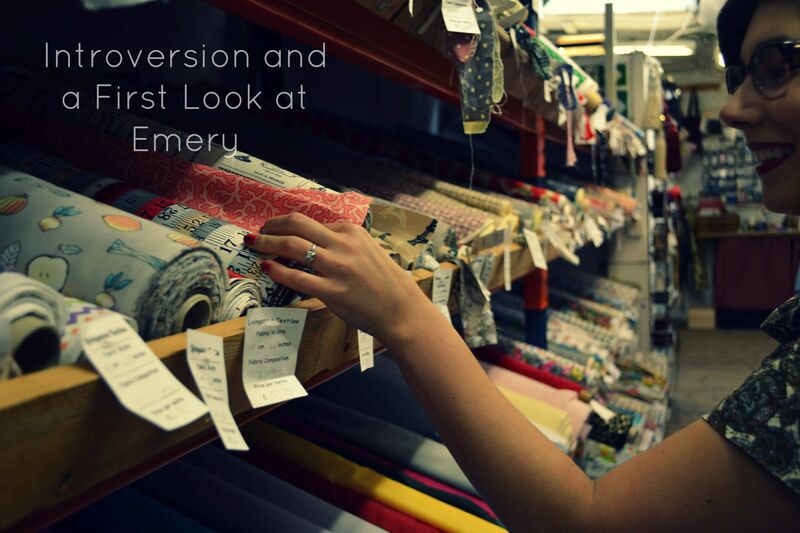 I love the way Roisin combines it with new and exciting novelty patterns and Tasha’s versions hit all the 1940s, easy breezy sewing feels for me! 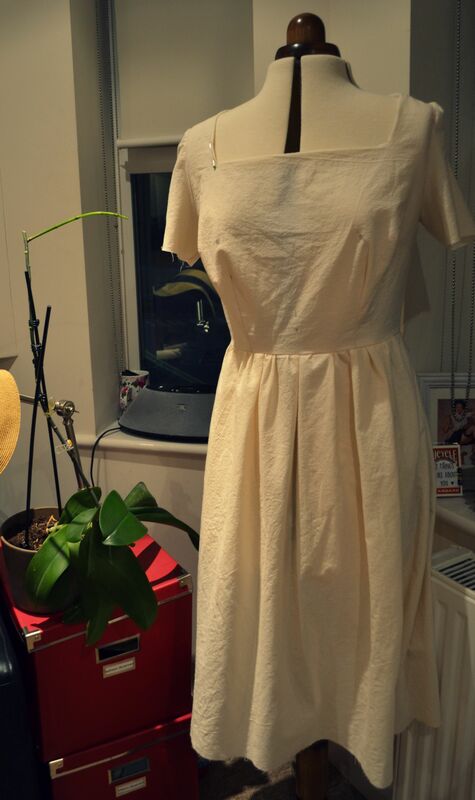 One toile down and the fit seems quite good on me post FBA and some neckline changes. There is some slight bagginess in the bodice, but that may chance once I’ve sewn it with its intended lining. It seems like the perfect dress to showcase fun patterns as it’s quite simple in itself! Meet Gertie, my dressmaking doll, named after the lovely Gretchen Hirsch, since she did teach me the basics of sewing via her blog and book. I am forever grateful. Please ignore uneven gathers, lighting and the pen marked..erm…bust points. It is after all only a quick toile! My actual fabric is coming out of my stash and currently pre-washing behind me! My last sewing project was a complete failure as I had to admit to myself that Decade’s of Style’s very cute 1940s New England Dress is simply not a good look on me. Thankfully the fabric I was working with was free so I’m not too sore about realising just how badly a bib front dress looks on me via trial and error. It’s now lying in a corner, mocking me in its un-hemmed, un-zippered state! Ah well, you can’t win them all! On Tuesday I’m officially entering year two of my costume bachelors degree. I’m sure you’ll see many a post about the upcoming Batman project (*squeal*) from here! I’m having a bit of fear about this project as it seems so bloody awesome that I’m scared I won’t do it justice. Perhaps I’ll do a post on my wicked case of “Imposter Syndrome” in the future! Sincere apologies for the small update without much to show. I’ll have to figure out a good system for fitting university, work, work experience and blogging under one neat thimble over the next coming weeks. Please bear with me while some things get sorted! Anyone else a high functioning introvert? Love Emery, hate it? Got a mean case of “Imposter Syndrome” in your life? Show me, tell me! And a brilliant dress it is, I’m pretty sure all of the UK must be clad in it! Massively so!!! I like to say that I’m the poster child for introverts everywhere and it’s not far from the truth. I can, and do, function decently well usually in mainstream society, but truly need my recharging/alone/quiet/creative/peaceful time in order to do so.